City staff will bid out the project to receive cost estimates for renovations of several scopes. Then, in June, the City Council will decide whether to select a bid and appropriate anywhere from $18.2 million to around $30 million in current fiscal year capital improvement budget adjustments for renovations. Money would mostly come from unused general fund appropriations, the capital outlay fund and several city departments tied to the building. The 101 Ash St. building is intended to accommodate city employees currently working in rental spaces. The city signed a 20-year lease-to-own agreement for the former Sempra Energy building in 2016. 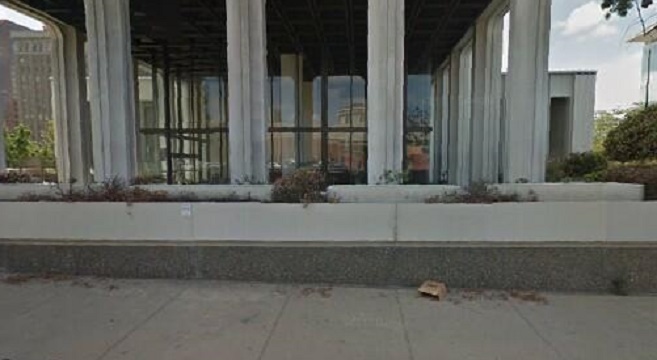 At that time officials planned to renovate five floors for around $5 million, then begin moving employees into the building last July. The scope of preferred building renovations has changed over time, however. Following council approval, city staff began working with planners and determined all 19 floors of the building should be renovated to increase the number of work stations from 800 to 1,157 and secure long-term cost savings. Staffers determined it would cost roughly $27 million to renovate each floor, which put the project on hold while the building remains empty. Council members, meanwhile, have expressed frustration at being left in the dark by city staff regarding a fluid situation. On Wednesday, city staff presented four options for the building, ranging from leaving it as is, renovating some floors or renovating all floors. Independent Budget Analyst Andrea Tevlin said the cost to renovate five floors now stands at about $18.2 million. Renovating all floors would cost an additional $9 to $12 million, she said, which could possibly be paid in commercial paper loans. City Assistant Chief Operating Officer Stacey LoMedico said a 19-floor renovation is more cost-effective in a 20-year context, despite higher upfront renovation costs. “Even with the delay and the higher initial capital improvements anticipated, utilizing the building to its maximum extent will provide long- term savings to the taxpayers by improving our efficiencies and operations by being in a building we will own after 20 years,” she said.